LOVE. LOVE married Anna Floy HORN. Anna Floy HORN [Parents] was born on 19 Dec 1907 in Vera, Knox, Texas. She died in Apr 1977. Anna married LOVE. Herman W. DUNLAP was born on 12 Dec 1911 in , , Texas. He died on 23 Oct 1971 in Eastland, Texas. He was buried in Doblin, Erath, Texas. Herman married Winnie Ree HORN. Winnie Ree HORN [Parents] was born on 21 Jan 1918 in Vera, Knox, Texas. She died on 25 Nov 1992 in , Cisco, Texas. Winnie married Herman W. DUNLAP. Claude Dell HORN [Parents] was born on 29 Mar 1922 in Vera, Knox, Texas. He died on 1 Aug 1993 in Morenci, Greenlee, Arizona. Claude married Betty Jo HALFORD. Betty Jo HALFORD. Betty married Claude Dell HORN. Claude Dell HORN [Parents] was born on 29 Mar 1922 in Vera, Knox, Texas. He died on 1 Aug 1993 in Morenci, Greenlee, Arizona. Claude married Beulah Isabelle SUTTON in 1995. Beulah Isabelle SUTTON was born on 4 Jun 1942 in Little Rock, Pulaski, Arkansas. She died on 30 Jun 2000 in Tucson, Pima, Arizona. Beulah married Claude Dell HORN in 1995. Felix Hickman "Fee" JARED [Parents] was born on 31 Aug 1862 in Gentry, Putnam, Tennessee. He died on 16 Sep 1930 in Gentry, Putnam, Tennessee. Felix married Maggie MC DONLD. Maggie MC DONLD was born about 1865. She died on 16 Sep 1930 in Gentry, Putnam, Tennessee. Maggie married Felix Hickman "Fee" JARED. John Harvey "Harve" JARED [Parents] was born on 5 Apr 1869 in , Putnam, Tennessee. He died on 7 Feb 1960 in , Putnam, Tennessee. John married Martha Jane HOLLADAY. Martha Jane HOLLADAY was born about 1872. Martha married John Harvey "Harve" JARED. John Thurman GASAWAY was born on 23 Jan 1873 in Niantic, Macon, Illinois. He died on 19 Jun 1954 in Houston, Harris, Texas. John married Mary Rachel YATES on 12 Dec 1909. Mary Rachel YATES [Parents] was born on 12 Dec 1888 in Ladonia, Delta, Texas. She died on 18 Apr 1972 in , , Texas. Mary married John Thurman GASAWAY on 12 Dec 1909. Samuel GASAWAY was born in 1910. Sarah A. GASAWAY was born in 1911. Ivena GASAWAY was born in 1918. John T. GASAWAY was born in 1924. David Aaron CANTRELL was born on 11 Apr 1888 in Wilmer, Dallas, Texas. He died on 11 Jan 1944 in Grand Prairie, Dallas, Texas. He was buried in Southland Memorial Park, Grand Prarie, Dallas, Texas. David married Viloa CLEM on 27 Mar 1910 in , , Texas. Viloa CLEM was born on 20 Sep 1889 in Foreman, Arkansas. She died on 17 Apr 1966 in Lawton, Blaine, Oklahoma. Viloa married David Aaron CANTRELL on 27 Mar 1910 in , , Texas. Lillian Louise CANTRELL was born on 21 Feb 1911 in Farris, Texas. She died on 21 Jul 1978 in Earth Lamb, Texas. F ii Grace Marie CANTRELL was born on 2 Apr 1913. She died on 1 Dec 1999. F iii Minnie Oda CANTRELL was born on 12 Oct 1914. She died on 16 Jul 1990. Charles Branchford JARED "Jr" [Parents] was born on 15 Jan 1834 in , Jackson, Tennessee. He died on 7 May 1911 in Lew Gap, , Tennessee. He was buried in Joseph Jared Cemetery, Gentry, Putnam, Tennessee. Charles married Mariah BENSON in 1865. Mariah BENSON was born on 5 Apr 1850 in , , Tennessee. She died on 14 Jul 1925 in , , Tennessee. She was buried in Joseph Jared Cemetery, Gentry, Putnam, Tennessee. Mariah married Charles Branchford JARED "Jr" in 1865. Arthur KIRKPATRICK was born about 1915 in , , California. He died in , , California. Arthur married Bertha Mae TALLANT. 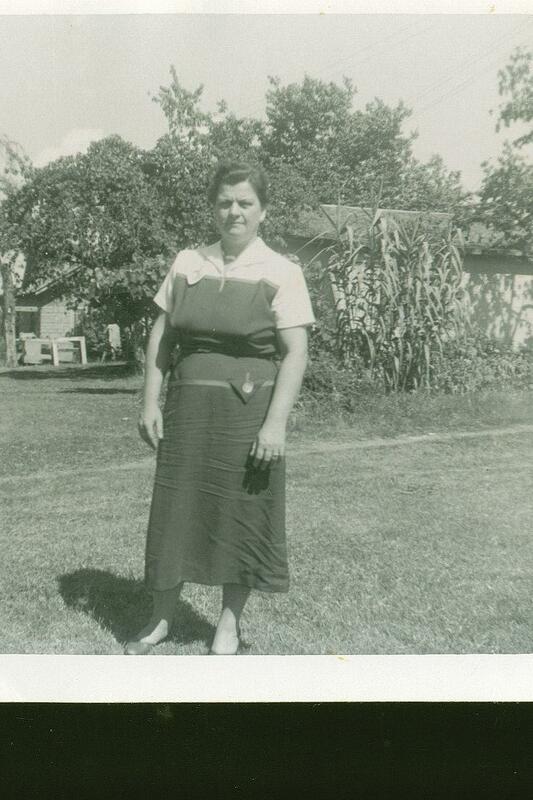 Bertha Mae TALLANT [Parents] was born on 20 Aug 1905 in Stephenville, Erath, Texas. She died on 3 Dec 1991 in Fort Worth, Tarrant, Texas. Bertha married Arthur KIRKPATRICK.